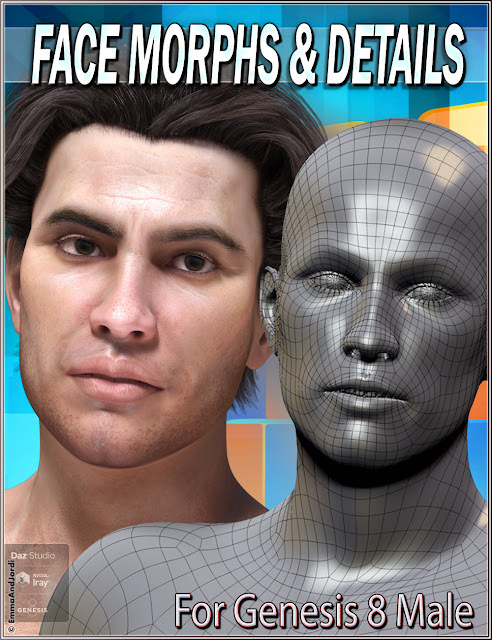 Our new morph pack is released at Daz 3D: EJ Face Morphs and Details for Genesis 8 Male, with 372 morphs. You can use them to add natural and detailed face features to your characters, or to build fresh new faces from scratch just with this pack! A must have for Genesis 8 Male!